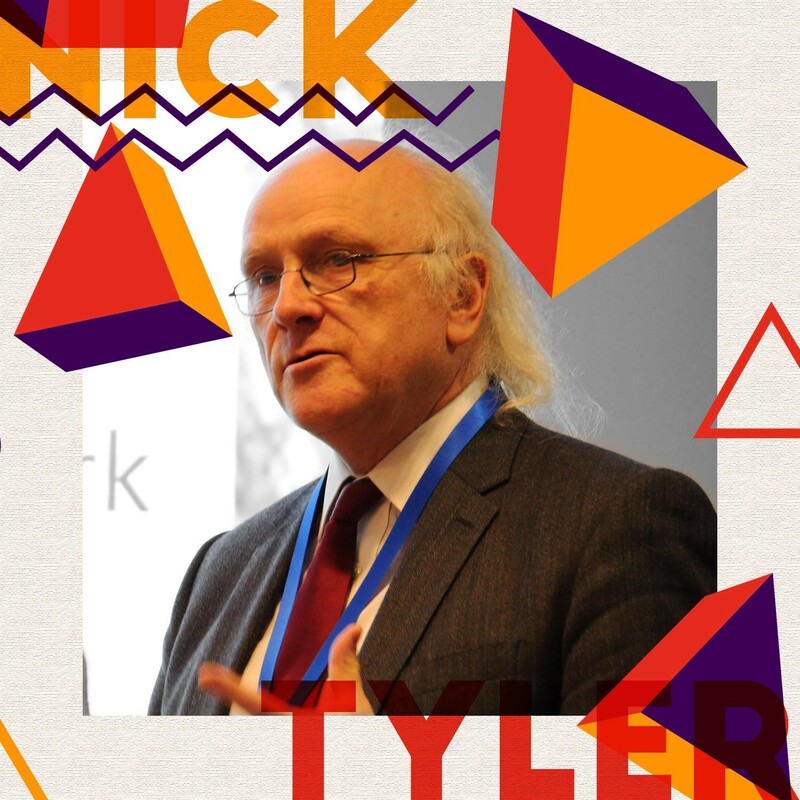 Prior to his talk on urban composition, and designing cities “for people”, the TEDxWarwick Blog got a chance to have a quick chat with Nick Tyler and ask him a few questions. Nick Tyler’s full talk at TEDxWarwick salon “By Design” can be found here. Interviewer: Do you see your model of cities, of people, to be transferrable to extra European models? So, for instance, central American cities? Or do you feel that it is something very unique to European cities? Nick Tyler: No, not at all. In fact, the concept really came out of work in Latin America. Actually, I’m working at the moment in Beirut. So, in Beirut, you have massively complex interactions between people because of the complexity between different cultures and religions and nationalists and all that sort of stuff. Displacement and temporality are absolutely massive; you can’t do anything with Beirut if you don’t understand how the people actually interact, and one of their problems is they don’t think about people interacting. They keep apart, so actually I think its arguably even more important in those current environments as it is in a very long-lived city like London or Paris. I: Where did you do your studies in Latin America? I: And you can drive for an hour and a half between it all. NT: Precisely. And that’s of course inevitable if you do that. And that’s one of the great problems we have in North American cities. So, they have a completely different problem from, say, the Beirut problem, but, in both cases, the core of the issue is people. In America, you have highly sectionalised citizens — in a way, they’re as segregated as they are in Beirut, it’s just physically, they are further apart and Beirut they’re living on top of each other. So, the problem is essentially the same; I think it is completely transferrable. I: You focus a lot on the connection between people, so do you study people in an anthropological sense? NT: No, well, I don’t really like disciplines! In a way, yes, but I also do a lot of work with neurologists, so I run a doctor training programme with neurologists on, what we call, the “ecological brain”. So, this is how your brain works ‘out there’ as opposed to how your brain works in a scanner.And that’s really about how your brain works in an environment: what stimulates it, what doesn’t stimulate it, how is it operating, how is it that we can live and walk about at the same time as doing something else. And, I think we have to understand that because it tells us a bit about, for example, social interactions… because, for example, you and I are having this conversation… we’re a couple of meters apart, I guess…It’s probably a bit further [apart] than what would normally be the case. If we didn’t have the tables between us, then we would probably be nearer to about one and a half meters, or something like that. And why? Because there’s function around the voice and the hearing systems, there’s a function around being able to view, your vision; so, you’re not only trying to hear somebody but you’re also seeing their responses. You see people nodding or you see people smiling or frowning or whatever and you will respond; and there’s millions of those micro signals going on, in a conversation. I: Is that at all related to neuro linguistic programming? NT: Yes. Yes, exactly, because the hiatus you get in speech are absolutely all part of this.And we know [this] from what we have done with mobile phones and car driving, for example. That mobile phones and car driving is sort-of interesting because if you have two people sitting in a car, having a conversation, if you then get somebody to walk in front of the car…The conversation will stop. Right? And the driver will do whatever the driver will do in order to stop it, and then, the conversation will carry on. It could well be that both of the people in the car are unaware of that break in conversation, and it will stop halfway through a word, and then it will just carry on. And, if you had exactly the same conversation, but one of them was in the car and one was on a mobile phone, the conversation does not stop.Because the driver is obviously seeing the person walking in front of the car, but the person on the other end of the phone doesn’t see that, so they continue the conversation. Because of the signals between those two people and their responsiveness to their outside environment no longer coincide. So, even if the driver stopped talking, the other one would start talking.So, even if the driver starts to drift, the other one will either jump into the space, or they will do something, but the conversation will actually go on. That’s why we don’t like mobile phones in cars, it’s because it doesn’t work very well. Hands-free or not, it doesn’t make a difference. I: How much do you factor environmental sustainability into your city planning? NT: It’s completely at the centre of it. It’s circular in a way, you can’t have a sustainability with no people in it, you can’t have people without no sustainability. Essentially, it is absolutely core and at one with that, and the question is, what [do] we mean by sustainability? We talk about ecological sustainability and economic sustainability and so on, but also there is a very important part of that which is the equitable sustainability. If you have a city in which you do not have equity, then you are going to have problems. It is not a sustainable way to be: you look at economies where you have that kind-of inequity then you are going to have problems. We need to make sure that we get a city that gives a reasonable crack at the opportunities that are available; they have to be accessible, physically but also economically, so that people feelthat they can actually do that thing; that it is possible, but they can choose not to. And you’ve got a bit of a band in there, not everybody wants to do everything, some people would rather have a walk in a park than spend millions of pounds in a casino. There’s lots of choices that you can have, and the more choices you have the better, but actually the dystopian state is when people can’t live: the only choices that are available to them are the ones that are like a survival tick, they have nothing else. Whereas, other people have a complete set, that’s when you start moving to dystopia. I: Do you feel there could ever be too many choices which will sort-of return you to the dystopia anyway? NT: That’s an interesting question… I think, probably, yes. It depends how the choices are portrayed but I suspect there is a limit. You know that there is a limit to the number of people that you can realistically interact with, so I suspect there is some sort of limit. I: To what extent are you looking for self-sufficiency because, obviously, the city, as an urban model, doesn’t tend to be self-sufficient? Are you searching for that? Or, have you sort-of accepted that humanity’s going to urbanise more, but we’re still going to require other aspects? NT: Well, I think there are two questions there. The city, as you say, absolutely right, cannot be self-sufficient. So, it has to relate to other places in order to be able to survive, even if only for water! Where does Birmingham’s water come from? It comes from Wales. There is a big, big, pipe that goes from Wales to Birmingham. And, so, you are always going to have this cross-over and I think what we have to do is make that into a state of thriving, in a way. That the surrounding economies who are going to be supplying that city, also thrive. Partly because they are supplying the city, and partly because of the social implication of supplying the city is strong. So, you have a better hinterland because you have a better city. What we tended to do though, and, again, North America works as a good example for this; we put the factories outside of the city, so it completely messes up the hinterland, pollution and things like that, so the hinterland then rejects the city, almost, and then you start to get the problem of ghettos because nobody wants to live next to a polluting factory. So, you start to get heightened levels of poverty and that is not sustainable because you run into this inequity problem, so you have to work with the hinterland. I: Isn’t that somewhat similar with, well, not so similar to factories, but what London has done with airports? Isn’t that a similar idea? I: Kind of the French idea of the periphery? NT: London, to me, I think on the smaller scale, if we just take London as we currently perceive it within the M25 area for example, the sort-of Greater London area. I think it has a real problem because the central part of London, say within the circle line, so central London, that does not have much in the way of population, actually, but it does have 2.5 million a day people coming into it and then going back out again. So inside, crossing the circle line, that happens every day, but you don’t get the sense of people actually living there. On the contrary, if you go to the outer boroughs of London, you kind of see the opposite. You have people sleeping there at night and then disappearing during the day. And that means that you have very heightened economy in the centre, and a relatively poorer economy, or, certainly a lower level of economic activity let’s say, in the periphery. That to me is unhealthy because the result of that is, we have to build massive transport systems in order to get to one place to another and you do have all these people living in this rather odd economic ‘twilight zone’; if you were to join the outer boroughs up to each other, as well as joining them to the centre, if you build a big circle, you would find that people would live in one borough and work in the other. So, your outer boroughs economy would improve, and you would have fewer people coming into the centre, so that would reduce the pressure in the centre. That 2.5 million might go down, but actually you’re spreading the economic activity around the whole of the city. We know that does happen because a few years ago they opened up a thing called the over ground which is the ‘ginger’ line, people call it these days. And that did exactly that, it joined up the sort-of inner London level of borough, so it joined up the Camden’s, Hackney’s, Harrogate’s, that sort-of inner circle. And that unsensitised so much outer borough transport that within two months they had to increase the capacity of the line by 20% because it was just super packed. They were planning on doing that in ten years or something and that’s because people could actually travel from Hackney to Stratford. I: You speak about how we need to compose the world for pre-conscious, so, what do you mean by that? And how can an everyday person achieve that? NT: Well, we achieve it all the time… So, in order for you to be conscious of something, the brain has to prepare itself and we know this neurologically, this was established 20 or 30 years ago: you can see a spike in the brain that’s kind of preparing and then the conscious things, and they do this very deep psychological experiments with people pushing buttons if they got a certain stimulus so they could work all this out. But what became very clear is that you won’t be conscious of something if you haven’t had that pre-conscious spike…So, what I am saying is, instead of just designing for the conscious, which tends to say: let’s design something pretty or looks nice, actually we should be designing for the preconscious because that’s where the bulk of the activity happens. For example, what I get is people walking down the street having a conversation because what’s going on in there is your brain is processing masses amounts of income data.